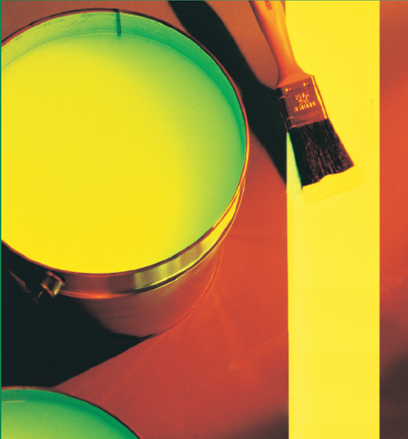 This photoluminescent paint has been desgined specifically for way-guidance systems. This coating system, used in conjunction with fire safety signs will make a comprehensice wayfinding system. The great advantage of this material is that no back up power source is needed. The photoluminescent pigment absorbs natural and electric light and stores the energy. When the light source is terminated the material illuminates indepentently. This paint is water based and is designed for use on walls, ceilings, doors and moderate wear surfaces. The system is built up from 3 layers; a base layer, a photoluminescent layer and a protection layer. All layers are water based, weatherproof and non flammable and can be used on cement, concrete, plaster, wood and metal. To place an order or for further information simply email, call or fill in our enquiry form. We are also an authorised distributor of JALITE AAA photoluminescent fire safety signs.